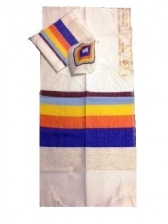 Light wool and silk Tallit sets (Jewish Prayer Shawl) from Israel and Unted States available in a variety of sizes and colors. 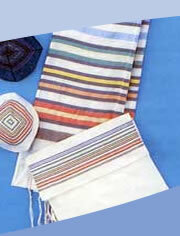 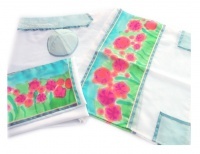 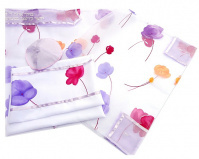 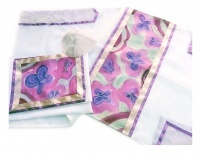 Most Talllit sets can be embroidered with your name in Hebrew or English on the Tallit Bag. 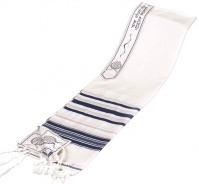 Most Tallis come from Israel and all are made strictly according to Jewish Law. 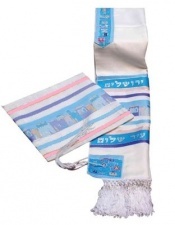 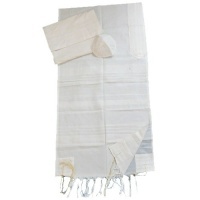 Some Tallit come with options such as Avodas Yad Tzitzit (hand made) or lining. 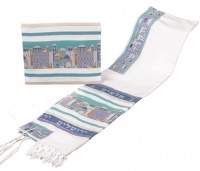 Techilos or blue thread are availabale on Tallit upon request. 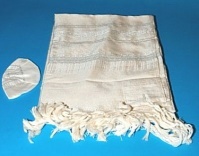 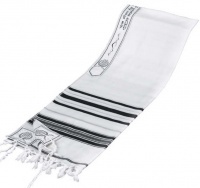 Before putting on the tallis tallit, or prayer shawl the following prayer is said: "Blessed art Thou, O Lord, Our God, King of the Universe, who has sanctified us by Thy commandments, and has commanded us to wrap ourselves in the fringed garment."